If you are unable or do not wish to attend a room auction you can place an Absentee Bid online. Step 1 - Register as a Loyalty Club member or Sign In to your account. Step 2 - Choose the item you wish to bid on and click on "Absentee Bid". Step 3 - Complete the details of your Absentee Bid and click "Place Bid". Step 3 - Confirm your "Bid List Contents" and click "Continue to the next step". Step 4 - Confirm your "Shipping" and "Payment" details - then click "Continue to the next step". Your bid will then be confirmed online and a confirmation email will be sent to your nominated email address. You can view your Absentee bids by clicking on "Current Bids" or "Pending Bids" at the top of the webpage. If you need any help with your Absentee Bid or have any questions please contact us. The information below will help you learn more about Absentee Bids and the 2 types of Absentee Bids - Maximum Bids and Telephone Bids. Your Absentee Bid can either take the form of a Maximum Bid or a Telephone Bid. 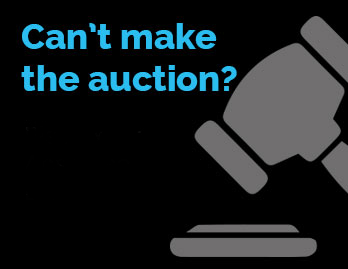 This doesn’t mean that you will pay the maximum amount – If the auction activity is at a lower level on the day you may get the item for less. If room bids go above the maximum bid then the Absentee Bid is unsuccessful. Check the auction estimate on the item – this is available online after successful login. Auction estimates are an estimate of what an item might sell for at auction, based on what similar items have sold for at previous auctions. Once bidding begins, we will keep you informed as the bids progress and ask you at each stage if you wish to continue bidding. This will carry on until you are successful, or tell us that you want to stop bidding.